“Karolinska Institutet (KI) has been notified about inaccuracies in one or more scientific articles according to comments on the website PubPeer. You are named as the main author of the article (s) in question. KI therefore requests that you provide a statement regarding whether the alleged inaccuracies are correct or not. If there are inaccuracies in the article (s), KI requests that you specify whether they have been corrected, or if they will be corrected, and if so, how. Please submit your statement to KI at registrator@ki.se regarding this matter by November 24, 2016”. Bertrand Joseph, Philippe Marchetti, Pierre Formstecher, Guido Kroemer, Rolf Lewensohn, Boris Zhivotovsky, Oncogene, 21 (2002). “Mitochondrial dysfunction is an essential step for killing of non-small cell lung carcinomas resistant to conventional treatment”. PubPeer evidence. According to my sources, Zhivotovsky has previously agreed to the editor-in-chief of the journal Cell Death Differentiation to retract his heavily manipulated paper Vakifahmetoglu et al 2008. Yet as soon as the investigation against himself and his protégée re-opened, Zhivitovsky withdrew his approval, which now makes a retraction much more difficult. Ulla Stenius, prefect of Zhivotovsky’s department IMM, re-installed in June 2016 by the decision of the KI Rector Karin Dahlman-Wright, despite the PubPeer criticisms of Stenius’ research, which focuses on “chemical carcinogensis, prevention and risk assessment”. According to Stenius, the re-election was based on the “faculty board recommendation”. A long list of 12 publications under suspicion has been forwarded to KI, for which Stenius now got 2 weeks to assemble her defense. Lauy Al-Anati, Sandeep Kadekar, Johan Högberg, Ulla Stenius, Chem. Biol. Interact., 219 (2014). “PCB153, TCDD and estradiol compromise the benzo[a]pyrene-induced p53-response via FoxO3a”. PubPeer evidence. “Until recently splicing gels together without spacers were considered acceptable practice. However, all the bands presented in the figures from the manuscripts are from the same film and same exposure time”. “In this case all the panels were not derived from the same gel. 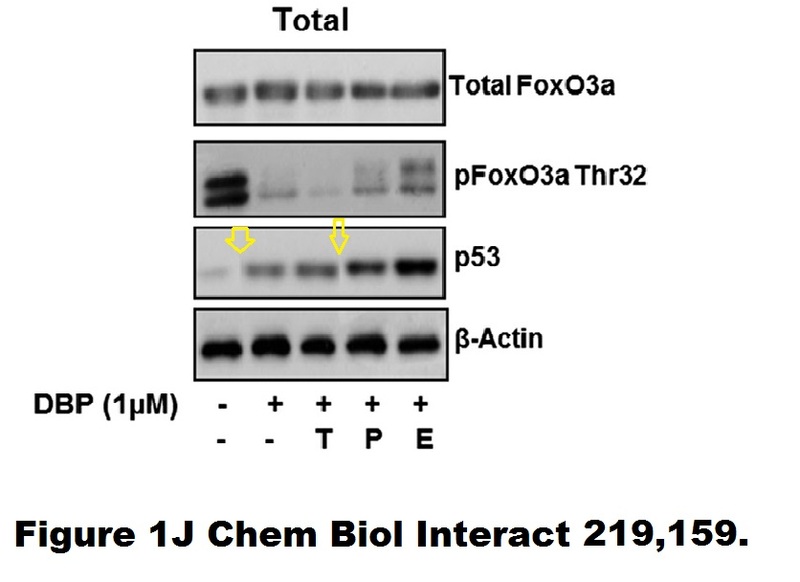 This is shown by the fact that both total FoxO3a as well as its phosphorylated form (pFoxO3a Thr32) is shown. The phosphorylated form of the protein has almost identical molecular weight as the nonphosphorylated form and are not separated. Theoretically it is possible to use a technique called “stripping” in a case like this. However, according to our experience it often gives false results and we use different gels. In the published figure only one loading control is included. This is common practice in many laboratories and accepted by journals”. This however stands in stark contrast to this paper’s published description of experimental methods, which clearly suggested b-actin was the sole loading control. In any case, the KI prefect chose not to address my question what was exactly the loading control for the sliced p53 western blot supposed to be. The academic Editor-in-Chief of this journal, Daniel Dietrich, announced to me to investigate this case, after pointing out to be “at the moment overloaded with similar issues, all to be taken very seriously”. Aram Ghalali, Zhi-Wei Ye, Johan Högberg, Ulla Stenius, J. Biol. Chem., 289 (2014). “Phosphatase and tensin homolog deleted on chromosome 10 (PTEN) and PH domain and leucine-rich repeat phosphatase cross-talk (PHLPP) in cancer cells and in transforming growth factor β-activated stem cells”. PubPeer evidence. 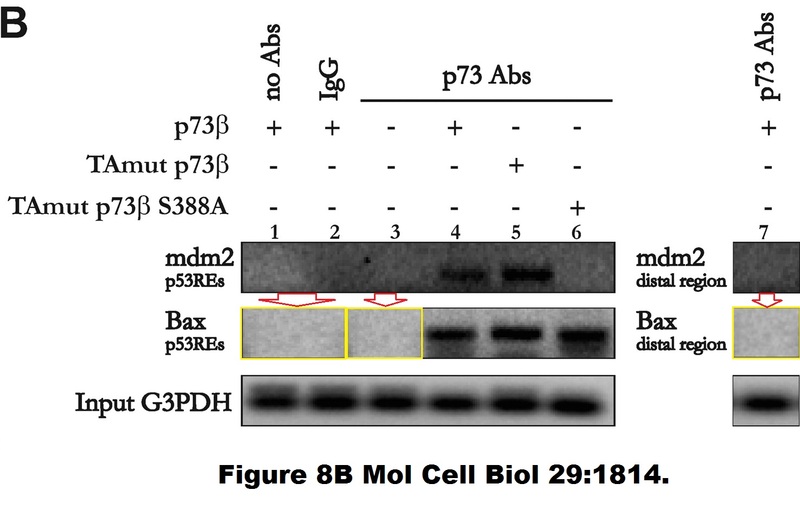 The first author Ghalali uploaded to PubPeer this original gel scan, which proves the suspected splicing and moreover evidences that the loading control Cdk2 does not fit. 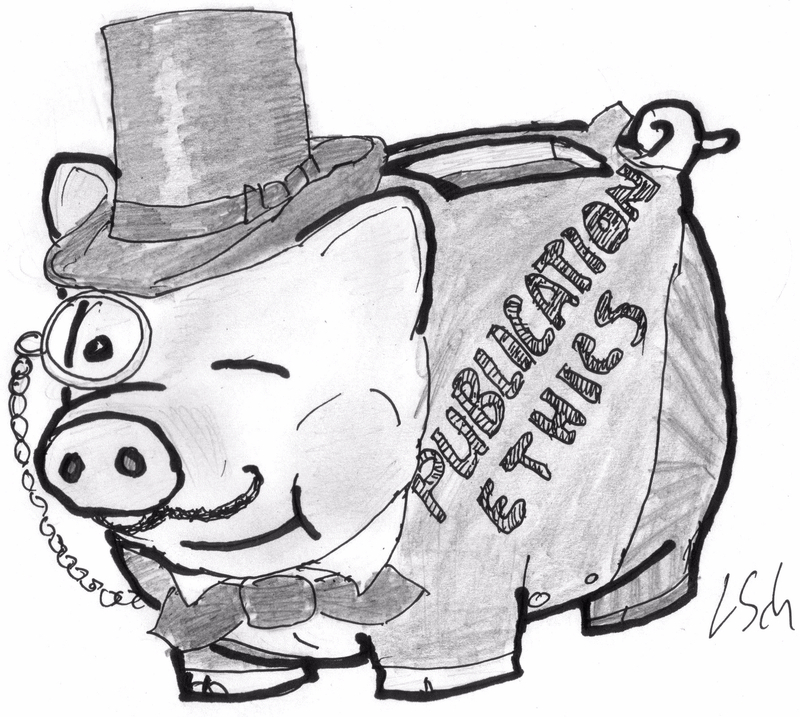 The journal’s data integrity manager Kaoru Sakabe promised me: “We will certainly look into it”. Update 15.01.2017: This paper has been retracted on January 13th, for gel splicing and image duplications, see reader comment below. There is also another twist to faculty politics. I received a hint that Stenius was accused already in 2015 of unfair treatment and possibly also research misconduct by none other than Vakifahmetoglu-Norberg, the one who is now being investigated for some blatant data manipulations herself. Vakifahmetoglu-Norberg brought her charges against her then-faculty boss Stenius to the then-Rector Anders Hamsten. It is unclear therefore if any investigation had followed, since Hamsten as we well know had to resign for his outrageous cover-up of the Paolo Macchiarini scandal of lethal trachea transplants. I have been notified about info on pubpeer that I want to share with you. It is about the Helin Vakifahmehtoglu-Norberg’s publications. Helin was assistant professor at our Dept. but is since 1 Jan assigned elsewhere. I will inform Per and Henrik more details when they are visiting me after Easter, but yet wanted to inform you already now. Such bold stand against other people’s research misconduct might have strengthened Stenius’ chance at being re-appointed as the faculty’s prefect. And indeed, she was. Now one has only to clear the issues with her own publications. L Lundholm, P Hååg, D Zong, T Juntti, B Mörk, R Lewensohn, K Viktorsson, Cell Death Dis, 4 (2013). “Resistance to DNA-damaging treatment in non-small cell lung cancer tumor-initiating cells involves reduced DNA-PK/ATM activation and diminished cell cycle arrest”. PubPeer evidence. Ulrika Nyman, Pinelopi Vlachos, Anna Cascante, Ola Hermanson, Boris Zhivotovsky, Bertrand Joseph, Mol. Cell. Biol., 29 (2009). “Protein kinase C-dependent phosphorylation regulates the cell cycle-inhibitory function of the p73 carboxy terminus transactivation domain”. PubPeer evidence. Ulrika Nyman, Naveen Reddy Muppani, Boris Zhivotovsky, Bertrand Joseph, J. Cell. Mol. Med., 15 (2011). 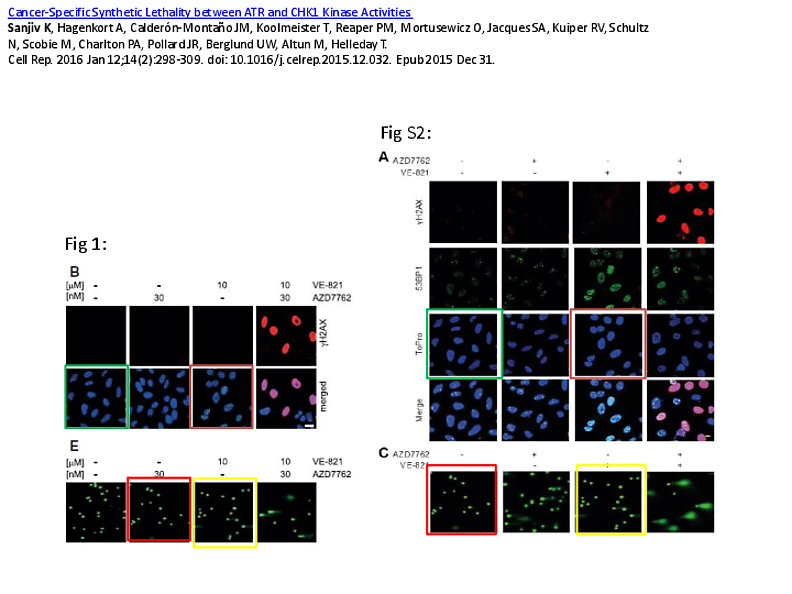 “Hsp72 mediates TAp73α anti-apoptotic effects in small cell lung carcinoma cells”. PubPeer evidence. Emma Lindahl, Ulrika Nyman, Farasat Zaman, Carina Palmberg, Anna Cascante, Jawed Shafqat, Masaharu Takigawa, Lars Sävendahl, Hans Jörnvall, Bertrand Joseph, J. Biol. Chem., 285 (2010). “Proinsulin C-peptide regulates ribosomal RNA expression”. PubPeer evidence. Miguel-Angel Gallego, Bertrand Joseph, Therese H Hemström, Susan Tamiji, Laurent Mortier, Guido Kroemer, Pierre Formstecher, Boris Zhivotovsky, Philippe Marchetti, Oncogene, 23 (2004). “Apoptosis-inducing factor determines the chemoresistance of non-small-cell lung carcinomas”. PubPeer evidence. 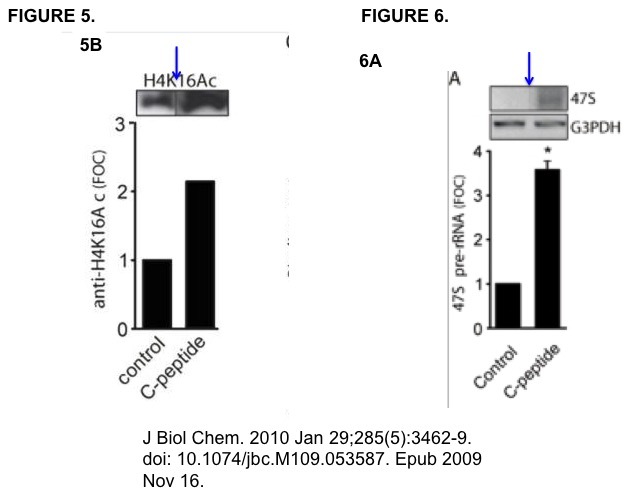 Pascale V Guillot, Cecilia Gotherstrom, Jerry Chan, Hiroshi Kurata, Nicholas M Fisk, Stem Cells, 25 (2007). 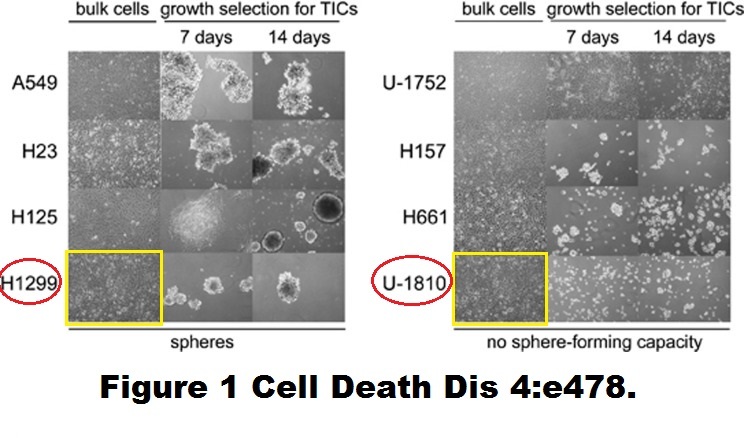 “Human first-trimester fetal MSC express pluripotency markers and grow faster and have longer telomeres than adult MSC”. PubPeer evidence. “Going through this in detail, we can reach the conclusion that there has not being any scientific misconduct in this case. However, there has been a couple of serious errors made in the presentation of the data, which will be corrected by the authors in Cell Reports”. Kumar Sanjiv, Anna Hagenkort, José Manuel Calderón-Montaño, Tobias Koolmeister, Philip M Reaper, Oliver Mortusewicz, Sylvain A Jacques, Raoul V Kuiper, Niklas Schultz, Martin Scobie, Peter A Charlton, John R Pollard, Ulrika Warpman Berglund, Mikael Altun, Thomas Helleday, Cell Rep, 14 (2016). “Cancer-Specific Synthetic Lethality between ATR and CHK1 Kinase Activities”. PubPeer evidence. Vera V Grinkevich, Fedor Nikulenkov, Yao Shi, Martin Enge, Wenjie Bao, Alena Maljukova, Angela Gluch, Alexander Kel, Olle Sangfelt, Galina Selivanova, Cancer Cell, 15 (2009). 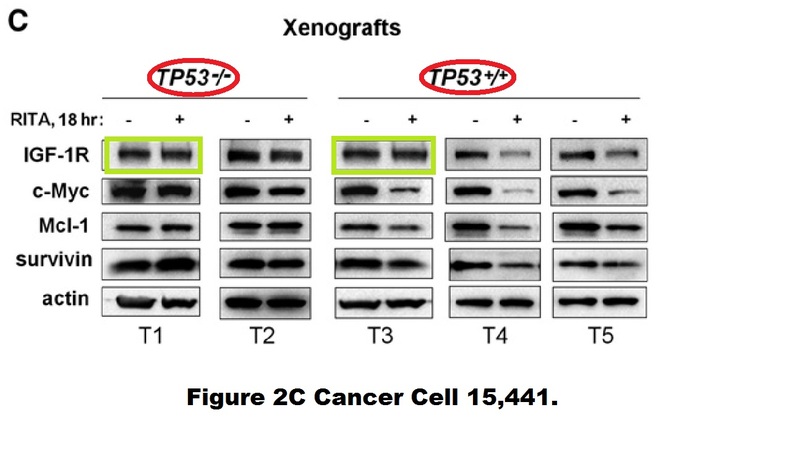 “Ablation of key oncogenic pathways by RITA-reactivated p53 is required for efficient apoptosis”. PubPeer evidence. Klas Wiman, professor at the Department of Oncology-Pathology and p53 researcher, was also invited to comment on the PubPeer evidence of alleged data duplication against the latter above Bykov et al paper, co-authored by Selivanova and originating from his own lab. The validity of those concerns is however less certain, in fact Wiman constructively engaged with his critics on PubPeer. And even that is likely to be only the top of iceberg. Duplicated images is most stupid type of fraud, easy to detect. One can only imagine how wide spread is data manipulation in general. The good thing is that KI now seem to be under pressure to investigate all suspected cases of fraud, something impossible in most of other research institutions around the globe. There is no reason to think that situation at KI is worse than in other Universities. It is a model for any academic institution, similar principles of organization are applied everywhere. Totally agree. In general any academic institution around the world bothers to investigate the obvious….indeed they try to protect their faculties most of the times. J Biol Chem. 2014 Apr 25;289(17):11601-15. doi: 10.1074/jbc.M113.537241. Epub 2014 Mar 5. Phosphatase and tensin homolog deleted on chromosome 10 (PTEN) and PH domain and leucine-rich repeat phosphatase cross-talk (PHLPP) in cancer cells and in transforming growth factor β-activated stem cells. Ghalali A1, Ye ZW, Högberg J, Stenius U. 1From the Institute of Environmental Medicine, Karolinska Institutet, S-171 77 Stockholm, Sweden. Come on!!! That is not misconduct! That paper is so data rich and well performed! Those miner things happens! The fact is when western blotting is presented, one writes in scientific paper: REPRESENTATIVE blots is showen. So what is the problem when a Cdk2 is not correctly spliced?! People seems to have forgotten that science suffers of other huge problems than Cdk2 splicing. Some seniors are favoured by funding agencies! Their are systematic age discrimination against older professesors whom forced to be send home etc! And you dedicated all you energy and newspaper to write about a gel splice?! You write: The journal’s data integrity manager Kaoru Sakabe promised me: “We will certainly look into it”. 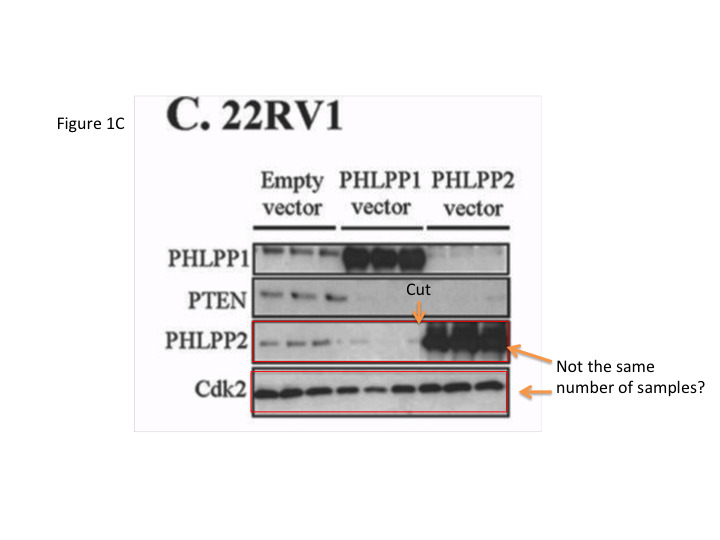 She has several paper in pubpeer for MUCH more critical mistakes! She has re-used complete figures! And you contact here to “punish” a mistake Cdk2 splice?! Both you and JBC did a mistake and have acted in ethical toward many this issue! Since that paper were included more that 200 blots, and you fund a Cdk2 splicing and judged everything?! A well performed paper, with a very logical flow! Solid conclusion and their findings has been repeated by others, for different purposes! To judgement, this is a very miner human error, which will not affect the bigger conclusion of the work. And I agree with Jeremy, you should spend your energy on other major issues than at look at western blotting loading controls. Those journals have their on quality controls. They should have acted before, IF A MISTAKEN GEL SPLIECE IS SUCH A HUGE PROBLEM. [That came from another IP address than the 3 previous comments, registered elsewhere in US, possibly Michigan. I previously wrote two emails to Ulla Stenius asking to stop trolling, last time yesterday. I announced to her to delete follow-up comments. -LS]. Very funny! So it can’t be that we are three friend who lives in different rooms but same apartment with shared bathroom and kitchen! If you do not trust (surly you don’t), we can send you unspliced picture of all of us, with our loadning controls as well ; ) The suspicious sees only suspects!! Jjovel! Those who do not share your view MUST have their own interests?! No conspiracy here, no! However, of course the academia members have all the right to ask and even require the raw data, but to accuse people while sitting behind your screen, is to have gone little too long. Ones purpose should be to understand how the experiment is done, not find cheaters! Until they have proven to be. You have clearly a trust issue since you think that all comments here are from “same” person! Finally, nobody think that it is ok to use any blot from any experiments. 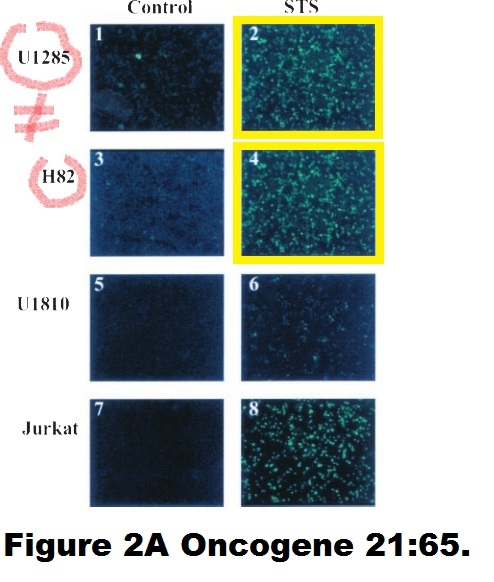 As you probably can see at the pubpeer, the CDK2 It is from the same experiment. 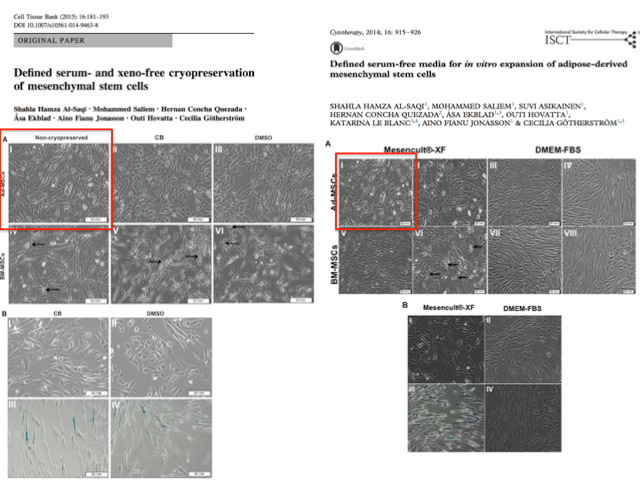 In this paper, they showed four different samples for same conditions (we had a journal club about it, last week). I don’t think that even you Mr. Jjovel are showing more than one!!! The rest of your repeats either are included in your densitometri or you count on our TRUST, that we believe in you when you write that you have run at least three times. I will not put more energy to this internet hate. Interesting story but without any conclusion. What happened later with all these investigations?